We’re at the end of our Good debt, Bad debt series, and we hope you have a better understanding of what constitutes good debt. If you’ve missed out you can read up on student loans, business loans and property loans in our previous installments. You should always endeavor to buy all consumable items using cash rather than credit. Mostly because these items do not hold any lasting value and will need to be replaced soon. Clothes, furniture, kitchen appliances etc are usually priced at a value higher than what they really are. Think about it. How many times have you bought an item on credit, only for it to be put on the half price stand a week later. Now you not only had to buy the item at the full price, but you’re paying interest in top of that AND you’ll probably have to replace it in the near future. You’re essentially throwing money away when you buy consumables on credit. You should never, ever buy food, clothes, furniture, kitchen ware, tech appliances on credit. Most tech appliances are obsolete in a matter of a few months, and repairing them costs a lot of money. So buying such items over a 24 month period is unnecessary. Not to mention that a contract can go horribly wrong if you don’t read the terms and conditions properly (and let’s face it, not many people read the fine print). The allure of plastic money has been made more appealing by various rewards programmes that promise you ‘money back’ on items. Usually, you have to spend a certain amount to get those rewards or see the benefit of the rewards programme. 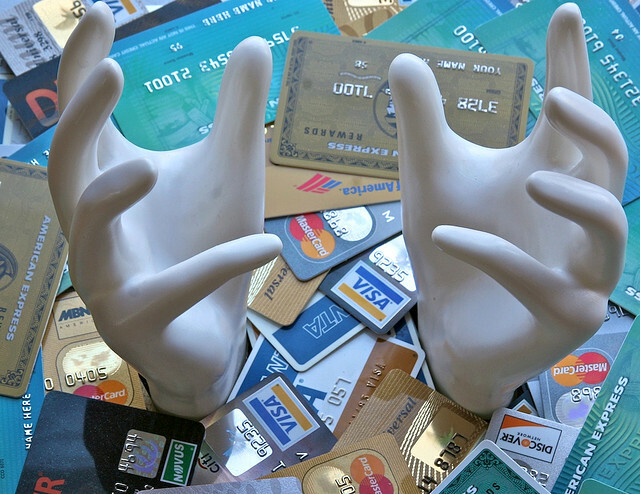 Credit cards aren’t necessarily a bad thing, however people tend to misuse them terribly. Sticking to minimum repayments in the number one way to get into credit card debt and never get out. The second? Increasing your credit limit, maxing it then committing minimum monthly repayments. The sad thing is that most people will pay the monthly installment, then withdraw it after two days, which really isn’t helping you. You’ll think what you’re doing is smart, but it isn’t. A balance of R8,000 can easily turn into a repayment of R20,000 over many months. Money that you could’ve invested instead of throwing away. People also tend not to look at, or understand how interest rates are calculated. There are gray areas on the good debt/bad debt spectrum. Sometimes we get into a short term debt situation to solve a long term problem or to relieve ourselves because things are too tight. While this can be avoided by smart planning, life can come at you fast, especially when you’re not prepared. This is a gray area mainly because, when used right, consolidation loans can help you pay off your debt and free up cash, especially if you’ve worked yourself into a dark hole with too many monthly payments. This, however, is not always a good idea. Sometimes people who are particularly fond of debt will seek out a consolidation loan to relieve them, but end up incurring more debt. They might get a loan that should cover all their current debt but instead of paying off all the debt, they spend that money and before they can say ‘month end stress’ they’ve added one more debt repayment to their monthly payments. A consolidation loan is seldom ever a good idea. It’s better to negotiate with your creditors and try and reduce payments until your have shaved off some of your debt freeing up disposable income to increase repayment installments. Sometimes people think that borrowing money to invest or begin trading is a good idea because someone, somewhere has told them that they’ll make bucket loads of money from investing and triple their money in no time. Investing needs you to be patient, think long term. You should never get a loan that you’ll pay off over 2 years to invest when you have no idea how the market will perform. If anyone can guarantee you a high percentage return on an investment within a specified period: run. Run far. This is how fraudsters rob people. No one can predict what the markets will do, therefore no one can say, for certain, that you will make a profit. Trading is the same. Just because the internet is crawling with free trading courses that promise that you’ll be a trading pro in 30-days, does not mean you will become a trading pro in 30 days. You might loose all your money instead. Yes, people have made a decent living from trading, but most of them have been trading much longer than 30 days, and have made great losses. Be careful of buying shares you’ve never hear of, or jumping into pyramid schemes. 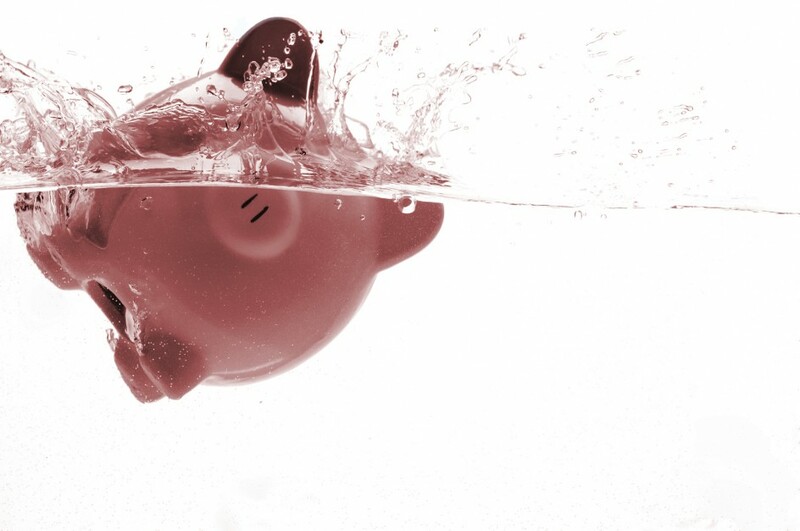 Our Chief Piggie Banker was on Finweek’s Money Show recently to talk about investment schemes and how to avoid them. Take some time to watch the video and read the article linked to it. You’ll be glad you did.